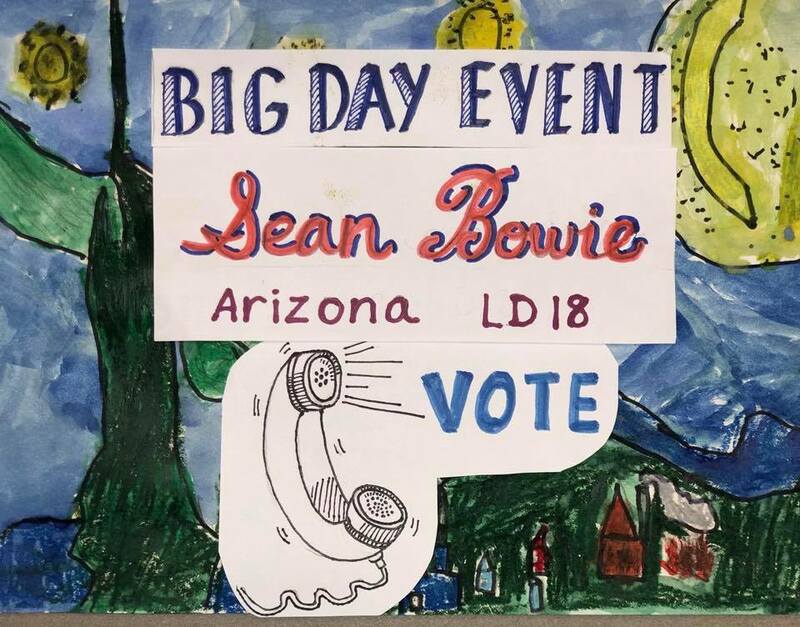 Today is the Big Day for Arizona and our friends at Sister District – CA-3 are working hard to re-elect Democrat Sean Bowie to the Arizona State Senate. By now we’ve all learned the consequences of neglecting state legislatures – gerrymandering and voter suppression, to name just a couple. What you may not know is that the GOP currently holds a trifecta in Arizona (the governorship + majorities in both the state senate and the state house), and we can break that trifecta this year. The pathway to breaking that trifecta is through the state senate where Dems need to flip just 3 seats this Nov to gain the majority. While other groups work to elect those Democratic challengers, our CA-3 chapter’s critically important role is to hold Sean Bowie’s seat. This weekend is the big push. Bonus reward for your labor- every vote you turn out for Bowie will be a vote for Kyrsten Sinema for US Senate! Can you help today Sat. Sept 22 from 12:30 to 4:30pm. 720 Olive Dr. #E? (Across from Rocknasium) Davis.